When I came across an SPF 30 natural sunscreen from Madara, I knew I had to try it. Over the years I’ve tried so many natural sunscreens and when I come across something new I get all excited. 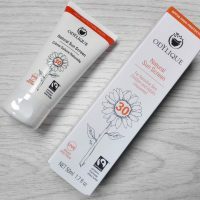 Would this new natural sunscreen be better than any others that I’ve tried? How does it compare to others? Well, to start with, Madara SPF30 sunscreen is a natural sunscreen like no other. First of all, it’s designed for the face, not for the whole body (this is something not that obviously clear online but not an issue). Although, if interested, Madara now also offers all-body sunscreen called Plant Stem Cell Antioxidant Sunscreen (also SPF 30). The age-defying sunscreen for the face has been specifically made to fight ageing and that’s how it differs from others. Its breakthrough formula contains stem cells from Northern Dragonhead which deliver a hyperdose of antioxidants and regenerate the skin for a 360° age-defying effect. Certified natural ingredients all work together to prevent all types of sun damage, including dryness, wrinkles, pigmentation, dark spots and loss of volume. The sunscreen contains raspberry seed oil, a wonderful ingredient which offers anti-ageing benefits and SPF-boosting properties. In the ingredients’ list, you will also find a hyaluronic acid, a well-known hydrator that helps to decrease “epidermis water loss” associated with sun exposure, skin dryness or flakiness. In case you didn’t know, a hyaluronic acid is something that is naturally found in our bodies. It is responsible for supporting skin cell renewal, for increasing skin elasticity and for boosting collagen production. Unfortunately, as we age, our bodies produce less hyaluronic acid which then shows on our skin. It’s for this reason many anti-ageing skincare products have an addition of this acid but in most cases they use a synthetic Hyaluronic Acid, not the naturally derived one. I am not sure whether Madara’s facial sunscreen contains a natural or synthetic Hyaluronic Acid; I will try and find out and then update this post. In any case, this is not a bad ingredient, but if it’s naturally derived, it just works slightly better. So how did I find Madara SPF 30 sunscreen? My first impressions are all very positive. The cream is non-greasy and gets absorbed pretty quickly. The finish is quite matte and the skin is not shiny afterwards. 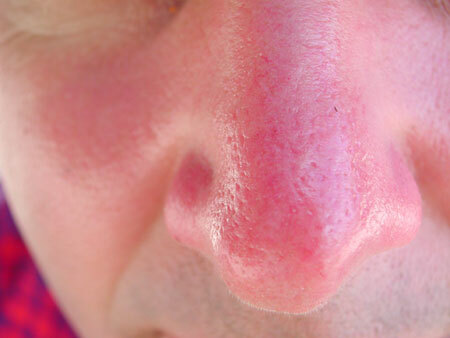 After the application, the skin feels smoother and looks healthier. No white cast! I definitely see an improvement in the skin texture and blemishes appear to be toned down. The tint is almost invisible – I feel my skin has a healthy glow afterwards and only a tiny change of colour, barely visible. But I don’t feel like I am wearing some heavy liquid foundation, not at all, it all feels very light on the skin. The sunscreen’s colour is self-adjusting so whatever your skin colour, it should work for you. When applying this sunscreen I apply a lot, making sure I don’t miss any areas of my face. For this reason, I think that the small tub (40ml) won’t last for very long. On the plus size, you can take it with you on holiday although I still wish the tub was bigger. Want to buy this natural sunscreen? Get 15% off if you buy it through LoveLula (first-time customers only) – go to this page and wait for the pop up to appear. Enter your email for the discount AND a free gift. 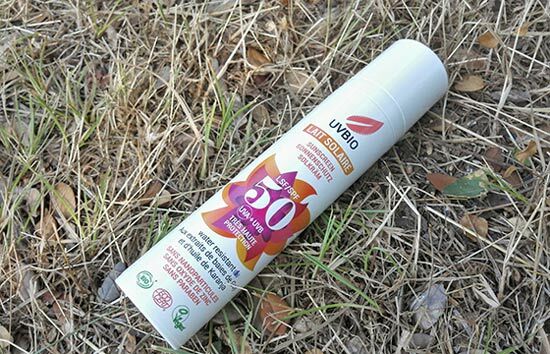 I’ve been using this sunscreen in the sunny afternoons and evenings when going for walks and I’ve also used it a few times when I went cycling. So far so good. I didn’t get burned and also the sunscreen didn’t give me any breakouts so great news! I don’t know how it would perform in a hot Mediterranean climate but I think I would personally use it only in the late afternoons and evenings when the sun is less strong. Not because I don’t trust it, it’s because I don’t want to use it up so quickly! In case you may wonder, the sunscreen is suitable for all skin types and for both women and men. In terms of scent, it’s pleasant and barely there. The sunscreen will protect you from both UVA and UVB sun rays and you can apply it on its own or over your daily moisturiser. It’s suitable to use all year round. Madara use the recommend EU guidelines for sun protection: sun rays are blocked in a ratio UVA to UVB of 1:3 as recommended by the European Commission. Just to add that the sunscreen is cruelty-free but not vegan as it does contain beeswax. Madara SPF 30 Age-Defying Sunscreen comes with some amazing benefits and properties but what I really love about it is that it makes fine lines less visible and my skin appears smoother. Now, who wouldn’t like this effect? So yeah, overall a great product, I am loving it so far and based on my experience so far I am happy to recommend it. The only downside is a small tub which I estimate it won’t last for very long if you use it every day. Also, the price is not exactly budget-friendly (£29 for 40ml). However, you can get 15% off if you buy it through LoveLula and you are a first-time customer – just go to this page and wait for the pop up to appear. Enter your email for the discount AND a free gift. Have you tried this natural sunscreen from Madara yet? What did you think? Disclaimer: This post contains affiliate links which means that I may get rewarded commission if you purchase a product after clicking on a link. This does not cost you anything.